Using a variety of media, the Los Angeles–based artist Julian Hoeber produces fastidiously ordered compositions. 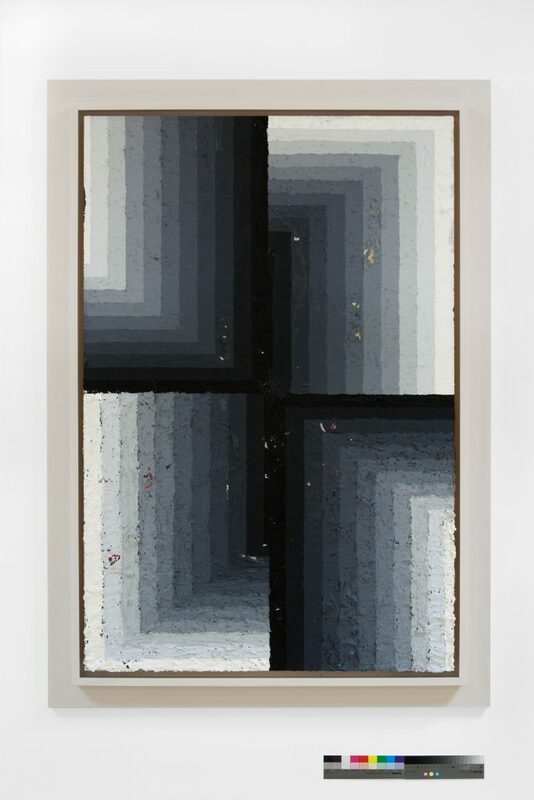 His paintings, constructions, and installations emphasize concept and materiality even-handedly, resulting in works evocative of both intangible theory and concrete spatial relationships. His immersive environment Demon Hill (2010-2011) used gravity as its primary tool, while undermining everything certain about it; inside the space, the most predictable force on Earth operated at an unexpected and deeply disorienting angle. Uncommon sensation is a thread that runs through much of Hoeber’s work. The otherworldly springs from the readily available, unusually arranged. His paintings are situated somewhere between Modernism’s emphasis on the physical reality of the painting, Postmodernism’s fraying of that reality, and Op art’s insistence on playing perceptual tricks.